Minimizing Traffic Woe At Bukit Jalil – footsteps…….. It had been a nightmare (errrr, should be a morningmare of morning blues) on every working days for those who stays in Puncak Jalil, Taman LTAT and PPR Pinggiran Jalil to travel to work due to the only exit to Lebuhraya Bukit Jalil at Bomba Bukit Jalil traffic light. Sometimes even on an unlucky Saturdays and Sundays. Previously it was a single lane. It was a terrible crawl when at times a 50 metre stretch can take about 15 to 20 minutes just to get onto Lebuhraya Bukit Jalil. When I used to send my kid to SK Bukit Jalil about 4 km away, I have to leave home by the latest 6.30 so that he can arrive at school before the prefects stand at the gate to take down his name for being late. This also contribute to drivers making illegal U turns and even though illegal, it helps reduce the number of cars trying to get out from Bomba. Then again there those idiots who do not know how to Q up and think of only themselves and created the unnecessary hiccup of the traffic flow. 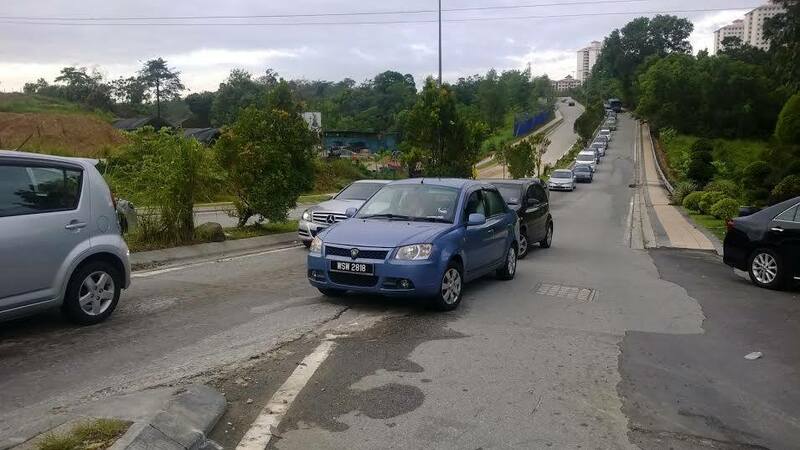 The Persatuan Penduduk Puncak Jalil and DBKL made a wise move to open up another lane so that two cars can exit simultaneously and the traffic from Kinrara has to stop. 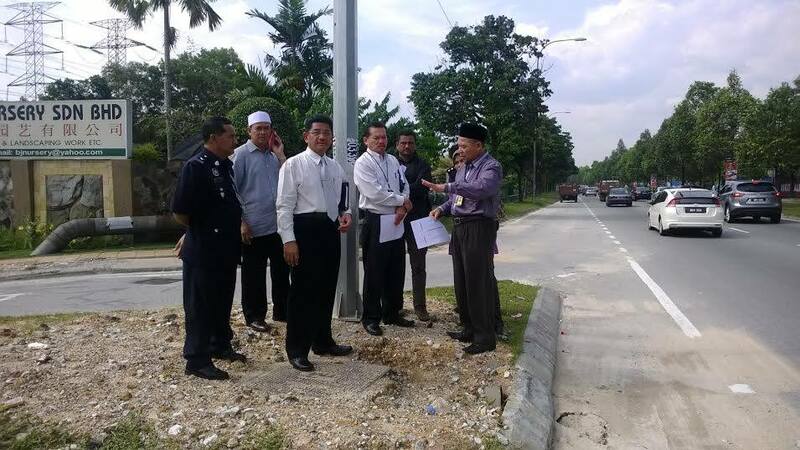 The new traffic light starts operating on 25th April 2014. I am not sure whether there’s a yellow box within the buffer zones of the traffic light. 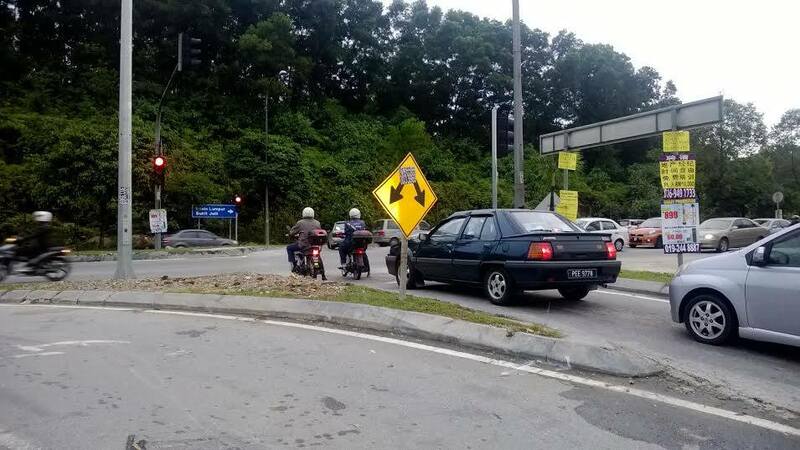 A few days ago I experience there are cars still violating the traffic light and it the normal practice of Malaysian drivers to do so. Driving on Malaysian road seems to be the strong and don’t care less on the road will survive. Previous Post Who were these louts at the Anti GST Rally? Agent provocateurs?